Over 850 million books are purchased in the United States each year. According to Nielson, a global information, data, and measurement company, 47% of the American population purchases books. If you do the math, 151 million people bought these books. This means, on average, these book buyers purchase five to six books a year. Why do people buy books? There are four main reasons people buy any product, books included, and understanding why will help you build your author platform. They have heard the author speak. They have read other books by the author. They have heard the author interviewed on television, a radio show, or podcast. They have read an interview or article by the author on a blog or other publication. The author is an influencer they listen to, watch, or follow. From an influencer the reader follows (blogger, thought leader, pastor, etc.). By a trusted publication such as a book review publication or website. Through social proof by other consumers who post positive online reviews. We buy groceries to feed ourselves, clothes to wear, and furniture to sit on. Why we choose to buy what we buy in each of these categories is generally personal preference, but the fact remains that we purchase things to meet a need. Books are no different. People buy books to meet a need they have in their life. That need is usually for entertainment (fiction and biography/memoir books) or to learn something (nonfiction books). It might be that a person wants to lose weight, improve a relationship, or learn a new skill. Books provide both entertainment and education. Giving gifts is a common practice. We give gifts at all important milestones and celebrations, and books make great gifts. In fact, people buy books, lots of them, to give as gifts. According to Sourcebooks CEO Dominique Raccah, 25% of trade books are bought as gifts, and 43% of books purchased as gifts are for children 12 and under. Understanding why people buy books can inform your book marketing practices. People make purchasing decisions rooted in emotional impulses as much as logical facts. Your book marketing efforts should speak to both emotion and logic. Following are four takeaway book marketing ideas you can use from understanding the four reasons people buy books. You can put these into practice when marketing directly to consumers and when marketing your book to the media for book publicity. If the number one reason people choose a book is because they know the author, don’t be shy. Help people get to know you and build your author platform. Take advantage of radio and television interviews, blog and podcast interviews, and social media. Show people that you are likable and that they can trust you. When people feel a positive connection to you, book sales follow. Research by BrightLocal reveals that 88% of consumers say they trust online reviews as much as personal recommendations. Ask your readers to write a review of your book. Put a request in the back pages of your book. The more positive reviews you garner, the more readers will trust your book and make a purchase. Your promotional efforts should highlight the need your book addresses. Point the need out to your potential reader and assure them that your book provides a solution to that need. What does your book offer readers? A stress-free life? Knowledge to be a better parent? A great romance story? Make sure your readers know how your book fills a need in their life. Since 1/4 of all books are purchased as gifts, what kind of gift is your book best suited to? A child’s birthday? A house-warming gift? A graduation gift? A Father’s Day gift? A Grandparent’s Day gift? A Christmas gift? A teacher gift? Books don’t go out of style. Better understanding what motivates readers to buy is a valuable step in building your author platform. To learn more, check out our free online self-publishing course on the subject! 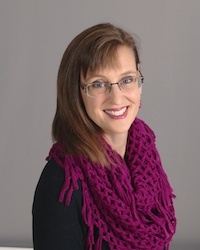 Sarah Bolme is the Director of Christian Indie Publishers Association. Through this organization Sarah provides assistance to small publishers and independently published authors marketing books to the Christian marketplace. Sarah is also the author of the award-winning book Your Guide to Marketing Books in the Christian Marketplace. The fourth edition will be released in February 2019.